You might not know her name, but you probably know her work: vivid, haunting photographs that capture the exploitation of animals for food, fashion, experimentation, entertainment, and more. Actually, the odds that you don’t know Jo-Anne McArthur’s name have gotten a lot less likely recently, with last year’s release of the documentary The Ghost in Our Machine (directed by Liz Marshall), in which she figures as the human subject, and the publication this year of the award-winning We Animals (Lantern Books), a collection of Jo-Anne’s photographs and the stories behind them. I asked the Toronto resident to offer some insights into her work and advice for other activists. What inspired you to use your lens to help animals? I’ve always been inspired by the change that photojournalists can help create. Their lenses are a door pried open into worlds, situations and conflicts that we wouldn’t otherwise see. Advice from my friend Larry Towell, a world-renowned photographer, helped put me on the right track. He told me to focus my work on what I knew best, and what I loved. And what I love is helping animals. I started the We Animals project over a decade ago and it has since become a large archive of animal rights issues and cruelty issues from around the globe. Stepping back, though, and looking at what we can all do to help animals – is to find what you love doing, what you’re good at doing, and employ those skills to make the world a better place for animals. There are so many ways that we can all help animals. Do it in the way that you know how to do it best. You can fundraise, write, campaign, make art, hold and host events, support other organizations, volunteer, speak out, leaflet, teach, cook, etc. If you’re doing what you enjoy doing and what you’re good at, your activism will last longer and be more effective. Why do you believe photos are such a powerful activist tool? Photos are windows into what’s hidden, and when it comes to animals industries, from fur farming to “food animal” farming to bear bile farming, all of these things happen behind closed doors. Those who run these industries know that people may not want to support the cruelty that goes on there, if they knew, so it’s important to have good documentation of what these facilities are like, so that consumers can learn, and make more compassionate decisions. As we all know, images can instantly draw attention to an issue in a way that text can’t. They can make people feel instantly, be it empathy or revulsion or anger or happiness. 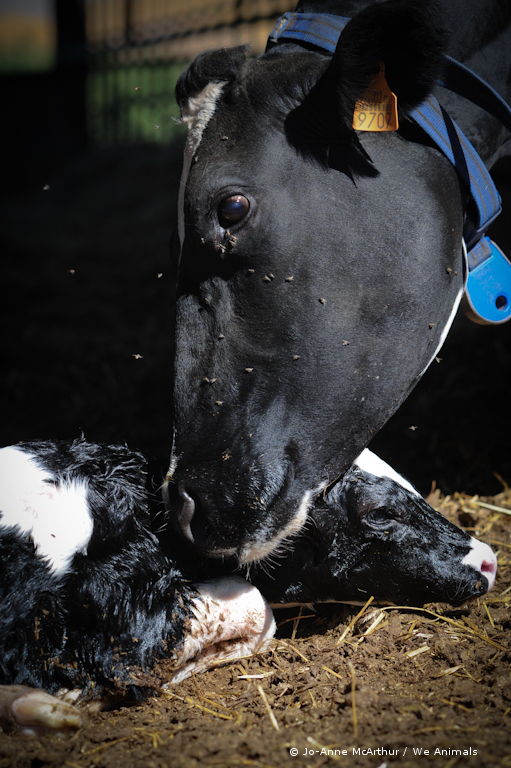 Images are a key part of the animal rights movement. What software, sites, etc., do you recommend activists use to share their work? There are many sites and routes for publishing images. It’s easier than ever now, of course, because of social media. But to keep people’s attention, keep them coming back to your work, the work must be constant or at least consistent. Creating an audience will get people sharing your work on a regular basis as well. Tight, ruthless editing is key, and getting editing help (by editors or photographers whom you respect, for example) is important in your learning process as well. It’s also helpful to reach beyond the choir. Your friends and animal-loving folk are going to like your work, but reach farther, so that people who need to know about animal issues can see the work. Send your images to local publications on a regular basis, offer to do a column or supply images regularly, so that you can broaden your reach and your audience. What advice do you have for activists who are just starting off with photography and want to use it to advocate for animals? Just start now. As Goethe famously wrote, “Begin it now.” You don’t need to be a traveler, and you don’t need to own expensive photo gear. Start close to home. Unfortunately, animal cruelty is all around us. It’s at the local meat markets. It’s at the pet stores, where exotic animals and dogs from puppy mills are sold for profit. It’s at the local zoo, or circus, or rodeo, or fishing hole. There is much to document. Just go out and document it, and share those images via social media, local media and wherever you can. Get creative about getting your photos out there. It’s important to take really great photos, too. 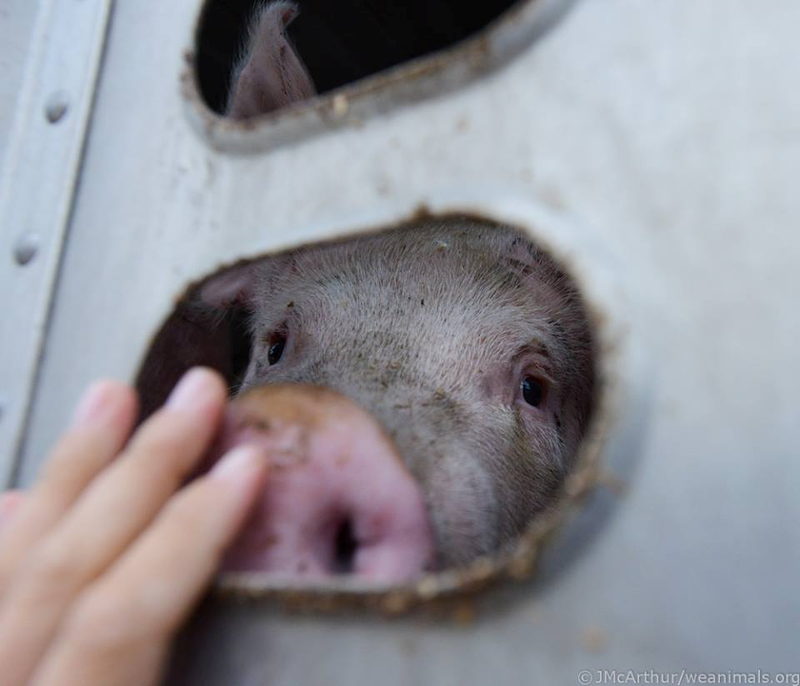 People turn away from cruelty; no one wants to see it, so it’s important that the images are engaging, which will draw people in, make them wonder, make them ask questions. Don’t just take photos, but, tell a story. If you are a traveler, a great way to document animal issues is to volunteer for organizations who are helping animals. Be it at an oil spill, where groups are helping save lives, or at sanctuaries that are constantly bringing animals into their care. 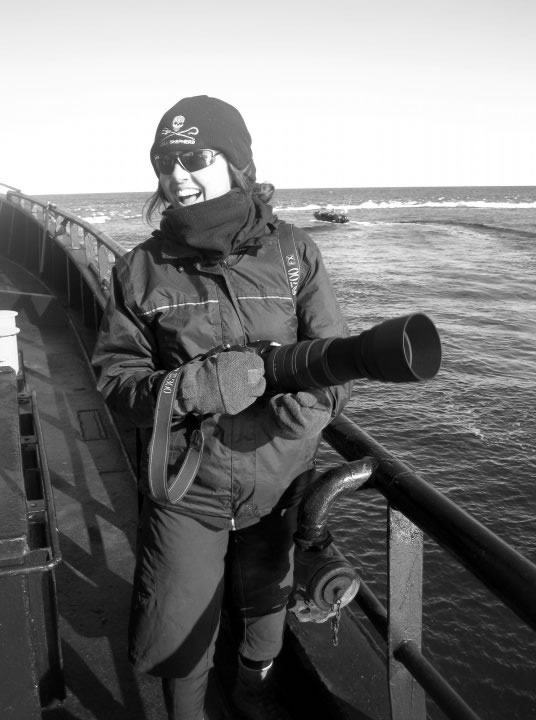 You can document their work, and so not only do they benefit from your donated photography, but it helps promote their work, and expose the issues at hand. I’ve done this for many groups, from Farm Sanctuary to Sea Shepherd, for groups helping birds at the Gulf oil spill to groups helping end the bushmeat trade across Africa. Whatever you want to or can photograph, begin it now. The animals need you. You see a lot of terribly distressing things in your work for animals. What do you do to keep from burning out? This is what so many activists struggle with. My best advice is to nurture your joy. I know that it can be hard to do that when there are billions of animals suffering at every moment. How can we be happy when this is going on? The animal rights movement has seen too many people jump in and then burn out only a few years later, because the issues are so distressing, and people aren’t taking care of themselves. Yes, there is a global emergency for animals. All the more reason to pace yourself so that you can help animals for as long as you possibly can. Whatever you need to do to look after yourself, don’t neglect doing that. Whether you need community or silence, being active of being meditative, or all of the above, look after yourself so that you have the energy to continue the fight. It’s hard to do this. I know this! I’ve almost burned out a few times, and have needed therapy, and tools, to help myself not focus exclusively on the suffering of animals, and stay focused on creating change. A really great book that has helped me deal with Post Traumatic Stress Disorder and the onset of depression in the face of so much cruelty has been Aftershock by pattrice jones. It’s a great and useful read for activists of all kinds, who struggle with finding balance, self-care, and living in a world where most people don’t understand your point of view. Please go out and get yourself that book! 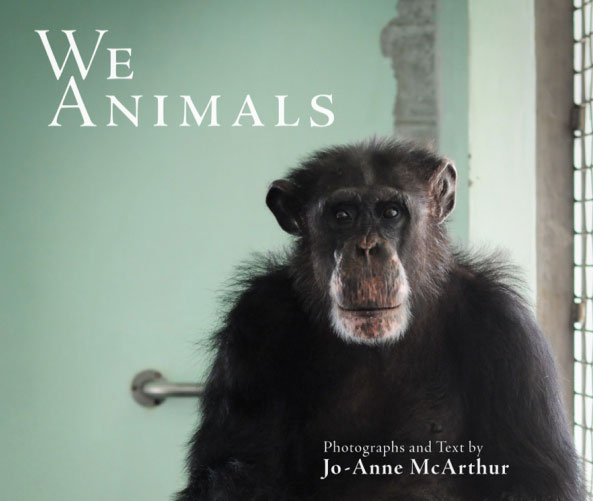 You can follow Jo-Anne on Twitter @WeAnimals. Visit her website at WeAnimals.org.